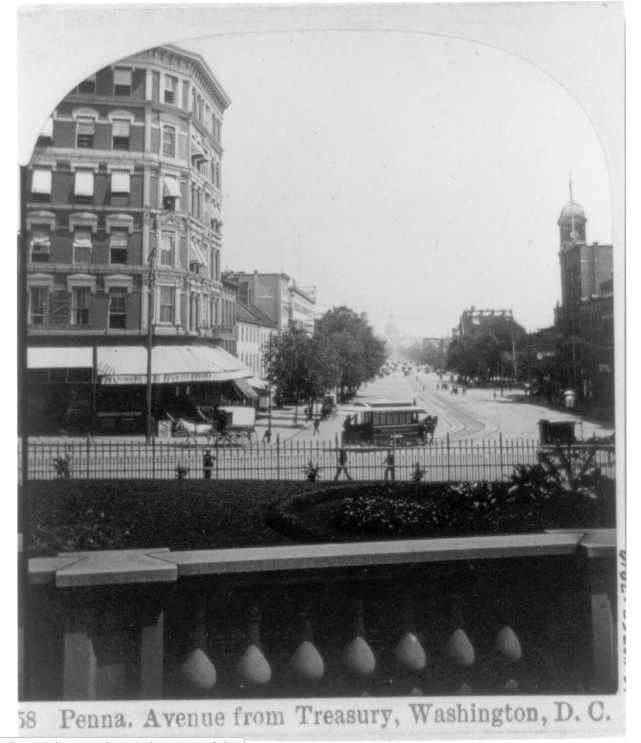 “Washington's First Streetcar Line Opens,” Histories of the National Mall, accessed April 22, 2019, http://mallhistory.org/items/show/193. In 1862 the Washington & Georgetown Railroad Company opened Washington, DC's first streetcar line running nine horse-drawn cars on tracks extending from the US Capitol to the State Department. The growth of public transportation was fed by the influx of people into the nation's capital during the Civil War, the development of military depots and equipment, and increased government and residential activity. By 1863, the Washington & Georgetown ran 18 miles of track, and in 1864, reported a nine percent profit and an estimated 7.5 million passengers rode its horse cars. These first cars were segregated; African Americans rode only on front and rear platforms.